A security system helps in preventing burglars from breaking into your home when you are not around. With the increase in the number of cases involving burglary, most homeowners are now relying on these systems to help them keep an eye on their property. In fact, having a home security system in place gives you peace of mind. This is because it notifies you immediately when someone tries to enter into your home. Some even prompt the police to come around and check if things are ok in your home. However, picking the right security system can be a challenge to a homeowner that has never shopped for such a system before. This is due to the fact there are many brands on the market, and an inexperienced homeowner may not know what to look for in a security system. 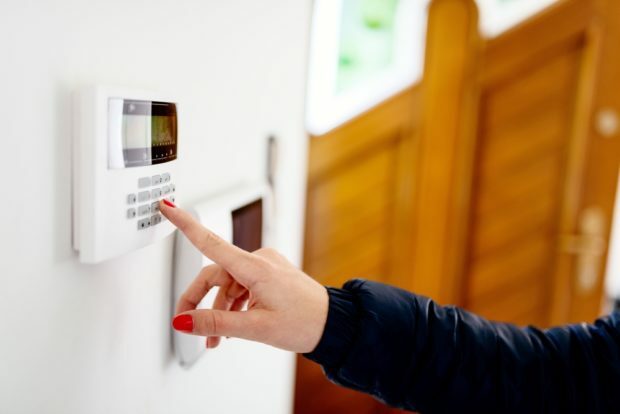 Here is a list of tips that can guide you when selecting a home security system. When looking for a security system for your home, you have to factor into the issue of price. In fact, your choice of a system should be guided by price. This means that you have to create a budget before leaving your home. Even if you are buying over the internet, you still need to set a budget. Keep in mind that some systems are very expensive. However, such systems are more durable and efficient than their cheap counterparts. If your budget is too low, you should opt for a system with the most basic features because that’s what matters the most. Moreover, you have to consider the cost of hiring the technician that will install the system for you. But if luck is on your side, you might find a dealer that’s willing to offer the installation service for free. There are basically two categories of home security systems; the hard wired and wireless. The hard wired type are usually used with analog telephones. This makes it easier for thieves do deactivate them when they want to break into your home. Besides that, they can also be damaged by bad weather and accidents. For instance, if one of the poles is hit by a truck, your surveillance system will not function until the pole issue is solved. Your best bet would then be a wireless system because it uses a more secure communication path. Wireless security systems use the internet or cellular network to transmit the alerts to you and the authorities. Thieves can’t therefore tamper with such a system. Most homeowners assume that a home security system is simply a couple of cameras and alarms. As a conscious homeowner, you should be able to think outside the box. Ideally, you should narrow down to a system that’s compatible with home automation. At the end of the day, you want a system that can also turn the lights on and off, close the doors, detect movements or smoke and also alert the police. Since security systems are complex, it’s obvious that you will need to hire a technician to set it up for you. Working with a random technician that’s not licensed and registered is a huge mistake. Such an individual can use the knowledge they have about your home and send thieves to your place. By the rule of thumb, you should only give such a job to a technician that works for a reputable security company.